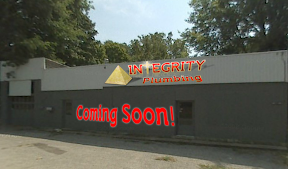 I am truly excited to open Integrity Plumbing, LLC in Henderson, KY. It feels much like when you climb a mountain and reach the top. I have only arrived here through the grace of God and by the support and encouragement of many people throughout the 15 great years I have experienced in the plumbing industry since Glenn Samford hired me at Superior Plumbing in Hopkinsville, KY. It is my pledge to the broader Henderson community to raise the bar on quality for plumbing services and parts, and operate with only the highest integrity in my work, relationships, and business dealings. Call Integrity Plumbing to find out how much more you can expect from your plumber. I have a lot of respect for the other plumbers in this area, and hope that Integrity Plumbing will drive healthy competition that motivates us all raise expectations of our work and how we interact with our neighbors in this community. At the end of the day we are all accountable to our maker for our actions and the decisions we make. My only prayer is that I will make the right choice not only for myself and family but also for my community. Thank you for the opportunity to serve you. I have personally known Dru Wall for about 10 years now. I have been very impressed with the way Dru handles himself in a social setting, always being mindful of others views and opinions. He has a great way of letting his own views be heard without downplaying their personal thoughts. Dru is a Christian young man that, I believe, will always live up to the name of his business, Integrity Plumbing. I have also had the privilege of working with Dru in a business setting, both where he has been a customer of mine at Independence Bank and where I was a plumbing customer of his. I can honestly say that Dru handles his business very close to how he handles his personal life, with honesty and integrity. It is rare these days to find someone in a field like Dru is in that honestly cares for his customers and doesn’t feel that the job is done until the customer is truly satisfied with the results. It is an honor for me to write this recommendation for Dru Wall. Dealing with him over the years has truly been a pleasure for me and I feel sure that anyone would feel the same. Integrity Plumbing LLC. - (270) 212-1212 - 1004 South Green Street, Henderson, KY 42420 -. Awesome Inc. theme. Powered by Blogger.